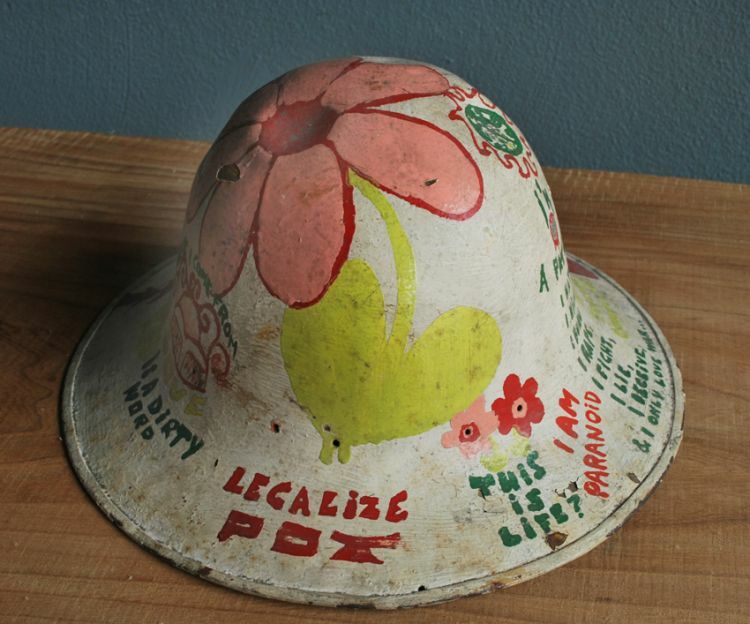 This object from the 1960's is an amusing poem of sorts painted along with illustrations on an army helmet. Piece has anti-war slogans and sayings all around the hat with psychedelic drawings. Great display piece that captures a piece of American history from a hippies point of view. Posted on June 22, 2013 by Mariano Chavez and tagged hippy helmet vietnam war and peace.